The Lyons Fire Protection District will be doing a Wilderness First Responder class and scenarios on Friday, Sept. 30. The afternoon training will include a helicopter in Bohn Park, followed by an evening drill on Antelope Trail, in Boulder County Open Space. All drills will be on foot (no vehicles involved), and end around 10 p.m.
Saturday, Oct. 1 | 6 to 8 p.m. The next Lyons Town Hall Art Show is slated to be: "Lyons Art Students Present: Behind the Gradebook; Teachers Gone Real." The opening reception for "Lyons Art Students Present: Behind the Gradebook; Teachers Gone Real" is this Saturday, Oct. 1, between 6 and 8 p.m., with a community tapas (finger foods only) potluck. 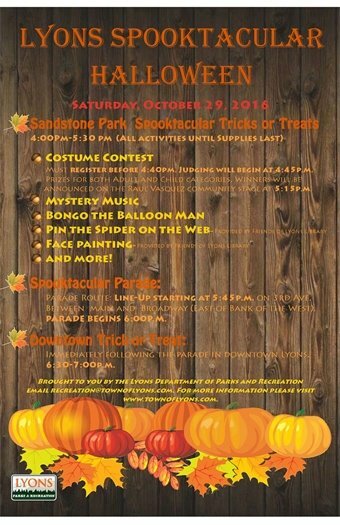 Live music will be performed by Nancy Thorwardson and Paul Kiteck. Beverages will be on hand & wine for sale with proceeds benefiting Lyons Arts & Humanities Commission toward local arts. The current show in the Shirley F. Johnson Council Chambers at Town Hall comes down Friday, Sept. 30 - all "Giving Tree" artwork must be picked up that day at Town Hall between 4 and 7 p.m. Simultaneously, art and placards will be accepted for the new incoming student show featuring art & writing by Stephanie Busby's students. This show will hang through Friday, January 6, with artwork pick-up that day between the hours of 4 and 7 p.m. 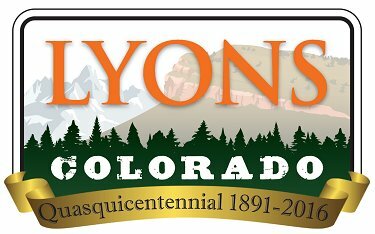 These Town Hall Arts Shows are made possible in part by the Lyons Community Foundation - for which we are extremely grateful. The pavement installation schedule has been updated, with a new start date of Wednesday, Oct. 5, weather permitting. Individuals interested in serving on a board or commission are asked to submit an application, and make a difference in our community! What could be more fun than getting your hands on some clay and letting your imagination soar as you use your hands to create. We are offering 4 different pottery sessions for your child to attend, each one creating something different. Sign up for as many as you’d like, you’d don’t have to attend all of the classes. Your child may opt to do the designated creation, or simply create their own masterpiece. Parents are welcome and encouraged to join! You won’t want to miss this class! Ballots are mailed to all active registered voters the week of October 17. If you would like to check your registration, visit www.BoulderCountyVotes.org. Track your mail ballot. Visit www.BoulderCountyVotes.org to sign up for Ballot Track to receive messages by email, text, or phone when your mail ballot has been printed, mailed, and received back by Boulder County Elections during election periods.